LATEST: Angela, the new affiliate manager for Bridaluxe has responded to my tweet and has contacted an affiliate I know that has been waiting to hear back from them. I asked her to respond to all affiliates and especially to immediately reply at ABestWeb. It would be wise for Bridaluxe to seek out all complaints published online and respond to them. When the problems are resolved I will update this post to reflect the current status. UPDATE: Bridaluxe has changed ownership and is NOT responding to affiliates or paying them. See the ABestWeb forum for additional information about Bridaluxe Ignoring Affiliates. We DO NOT RECOMMEND joining Bridaluxe any more. If you have been promoting them you will want to remove their links. “I was looking for different programs for people in the wedding niche and I came across a network called Bridaluxe. While it is obvious TO ME that she didn’t mean to imply Bridaluxe was a scam, I was concerned others might not realize she was offering generic advice not specific to them. I highly recommend the Bridaluxe niche Wedding Affiliate Program and assure you it is definitely not a scam. It is one of the very best affiliate networks and for any wedding site it is as good as using Commission Junction and ShareASale (considered one of the cleanest affiliate networks) and better for wedding related sites. On top of that Bridaluxe stores will convert better than manually created sites because they have an algorithm that rearranges the products being offered based on what is currently selling best. If something gets media buzz and becomes hot your store will automatically have that product in prime position for maximum sales. Their stores are far superior to Amazon stores especially in this case. I manage one site that has a Bridaluxe store and am the advisor to another that has an Amazon store. There is no comparison. If you operate in the wedding niche definitely go with Bridaluxe. Bridaluxe collects your commissions for you and pays you directly the same way Commission Junction and other affiliate networks do. I have never heard a single complaint of them not paying their affiliates on time – and I recommend them regularly in my own blog. There are a couple of points I forgot to include in that comment. One is that Bridaluxe has the longest cookie duration of any affiliate program I have ever seen. They use 365 day cookies. That makes sense if you consider that many plan weddings over a very long period of time. They also have tiered commissions that are very beneficial to the affiliates while less so to the merchants in that affiliates are rewarded with higher commissions for combined sales from all merchants. I encourage affiliate publishers to read more about the benefits of joining Bridaluxe. Both merchants and affiliates should know that Bridaluxe runs a clean affiliate program free of toolbar publishers, parasites, cookie stuffers, coupon scrapers, or any other bad players. Merchants selling wedding related products should consider Bridaluxe because of their innovative stores that automatically feature hot selling products and their willingness to personally train affiliates for you in their use. Worried about getting Cisco Certified or the difficulty of the ccna 640-802 exam? Get up to date 642-524 dumps and 642-533 dumps to pass your exam with ease. They can provide instant visibility for merchants on many prominent wedding related sites and dozens if not hundreds of blogs. See details on their merchant wedding affiliate program. P.S. If JBird85 had any information in their profile they would be linked in this post (and if they let me know I will still do that for them). Bridaluxe is such a great idea for bloggers that I sincerely hope they will license their solution to create stores for other niche affiliate programs. Cool! I’ve never heard of a wedding affiliate program before. Thanks for enlightening us about this. What I can’t understand is why there was a discussion one day only. The comments here are from February 1, the comments ended on abestweb on February 2, and the twitter page was a one day thing. So in reality, does this mean that no-one is getting paid? Why did they even bother to do a one day contact and communicate if everything is being left as it was with no payments. Plus, hw come noone is continuing to talk aboutit anywhere. Any Ideas? It is human nature that people will complain but rarely come back to let others know when things are resolved. Since no one has said they did NOT get paid and the last entry from Bridaluxe was that checks were being sent that day it is likely that they were sent. The only way to know for sure it to ask individuals who were complaining directly. I would expect there to be more complaints on the ABestWeb forum if they did not follow through and actually pay everyone. I have asked for an update at ABestWeb in that thread and tweeted to @Bridaluxe on Twitter asking them to respond to your comment. Thank you for getting things moving again. Kattie you said “What I can’t understand is why there was a discussion one day only. The comments here are from February 1, the comments ended on abestweb on February 2, and the twitter page was a one day thing. Feel free to touch base with me! Thank you for updating affiliates here and especially at ABestWeb. I didn’t want them jumping to conclusions when we didn’t know what the status was. Quiet (no new complaints) usually means progress is being made and people are more patient when they know what is going on. You definitely landed in a tough situation and I am glad that the affiliates are being understanding since you are working to rectify the issues. There are challenges to being an affiliate or a merchant and especially a network so being willing to work together is our best chance for success. Blogs work a little differently than forums. Here you can just click REPLY under the comment you want to answer and your answer will be put under theirs so you don’t have to quote them. You’ll see what I mean because this comment will be UNDER yours. Thank you for letting me know. I’ll update the post. The new affiliate manager for Bridaluxe responded to my tweet warning about them not paying or responding. They also happened to respond to another affiliate I know about the same time – an affiliate who had been trying to reach them for three days who I did NOT mention – so they are contacting affiliates. Thank you again for the heads up on this. I’ll keep this post updated with the latest status reports I receive from Bridaluxe and affiliates. I had never seen Bridaluxe before this post. It does seem like an amazing way to get a product in front of brides. I’m back again…just signed up for the Bridaluxe affiliate program. I was only on the site for a few minutes granted…but i see that they have an easy to install plugin for wordpress sites. So, you can setup a whole storefront of wedding related products probably in a matter of minutes. I was just made aware that Bridaluxe stopped paying their affiliates and on further investigation see that they have changed ownership and are ignoring all attempts to contact them. I wanted you to know so you could take action. I am so sorry that you followed my recommendation and this has happened, but these things do happen and are outside our control. As an event planner you will want to get your free advertising in local search directory listings. There is information about that in the post I’ll put in CommentLuv in this reply. I have not used that affiliate program. Also try Share A Sale — they have a quite a bit of wedding related products to sell. Yes, we recommend ShareASale as our favorite affiliate network because they’ve been highly ethical. I hope they continue to do that because it IS what sets them apart and causes people like me to heavily and consistently recommend them. Yes, we are in direct contact with Bridaluxe and have one of their stores on our gift blog. They are not a scam. Thank you for suggesting Bridaluxe program. But I visited to official website but didn’t get sufficient information. I was willing to know more about it. Arvind would love you to read ..Hello world! Never really considered the wedding niche as a potential niche. However as Karn pointed out above 365 day cookies aren’t bad! Bridaluxe is huge! thanks for the informative post. Thank you for sharing this. Its very interesting and I think it would be nice to join such like this. I appreciate the links for Bridaluxe. Great sharing! We also had some of our clients who are Wedding Planners, great to see yours is a successful one! First time I have heard of the Bridaluxe Wedding Affiliate Program. Definitely something I am checking into. Thanks for the heads up. Lol!! Turning cupid might lead you earning big bucks! This is what makes me so amazed about the aspects of online income and possibilities to earn online. I have just signed up to Bridaluxe and it’s good if you say it’s not a scam. They have interesting features. I hope I earn through them. Thanks for that information. Now, we knew that Bridaluxe is not a scam and we are now confident to purchase in their products and services. Good Luck! Thanks for the information that Bridaluxe is not a scam. I will try to find some great wedding materials that can be affiliated with them. This is a great piece of information. I think Bridaluxe is not a scam at all. Its features and everything that it could offer is a totally great package already. I could also see that a lot are satisfied with it so I do recommend it too. Great information. I was thinking of selling some of the details / etc that we do for our weddings.Bridaluxe is a affiliate marketing network for the wedding industry.They offer 10-14% commissions on all product sales which is really excellent. Great information. I was thinking of selling some of the details / etc that we do for our weddings. Themed wedding packages and colors. BL may be a great place to do that. Thanks again!! That is an interesting market. One I was also considering marketing services more. 365 day cookies is not bad, thanks for awesome info! “stores flexibility” “cookie reliability” “online payment” “easy to install functionality” is all what i see in every affiliate program, i am optimistic to found this program right on top in wedding niche, i am relying on write-up review and going for sign up but i will let you know about my experience shortly! Fingers Crossed. Well i can’t anything about why it is showing as a scam but if you are credible enough in a market it shouldn’t be a problem. That might be the jealousy of your competitor.Anyhow,i have never seen a affiliate program for weddings.Interesting to see.Let me check and will revert back with comments. First time I’ve come across a wedding affiliate program. Seems interesting, although I’m not sure about the $750 network access fee. A bit steep for an affiliate program don’t you think? Thanks for opening my eyes to this program. It looks like a great service. Well, I viewed the website and it looks legit to me. Hmmm, for weddings I think people still consider doing it on their own and finds the best event centers. In Denver, Colorado is where my sister’s wedding is going to be held. We’re inviting numerous guests so it’s important to have a wide event space. Denver is an inspiring place to hold an event like weddings because of the beautiful Roman Catholic Cathedral of the Immaculate Conception located in the city. very soon I might consider Wedding affiliate program. Thats great that it updates on its own for what is selling the best. Seems like a really handy thing to have and be able to use. It’s good they thing about how long wedding planning takes too. That is great that it updates on its own for what is selling and what isn’t. This seems like it would be really good to have and the fact it thinks about how long it takes to plan a wedding is good too. Very nice wedding, the affiliate program looks acceptable – giving it a shot! “Merchants selling wedding related products should consider Bridaluxe because of their innovative stores that automatically feature hot selling products and their willingness to personally train affiliates for you in their use” always good to have an option like this on a site . never heard of bridaluze will try it myself! This is going to be a good affiliate program to the weeding website owners and for those who wish to have wedding ideas. Bridaluxe is a great product. I know many people in the indusrty how are currenlty using it. I am not actually in a wedding site buts its good to hear that you can rely online or with your affiliate online if you want to know the legitimacy of one site. Its good that there are also users concern who give genuine answers. Thanks a lot. Bridaluxe seems legit enough. My site is not based on their product, but it seems like it might have been an easier solution than building a wedding site by hand. Oh well. Your point is taken. Thanks again. .-= Inya Kawin´s featured blog ..How to choose the perfect wedding dress shops =-. I will try this one. I just checked and the PR for Bridaluxe is very high. Thanks for giving us this info. While PR can be useful many excellent sites have no PR because they inadvertently broke one of the false G’s rules. I believe that many more sites will lose their PR and incoming links as the search engine results continue to be manipulated. Wise Internet users need to look beyond the superficial, deeper into the results and above all use INDEPENDENT alternative search engines. It would be a very good idea to start saving links to sites you like because it may become increasingly difficult to find them in the major search engines. .-= Howie@Best man Speech´s featured blog ..Excellent Garden Wedding Reception Canopies =-. Your blog certainly offers a different affiliate program-am at present selling a Clickbank program that is good,however always looking for more-can you email me info? .-= Selby´s featured blog ..5 Tips On Saving On Reception Catering =-. 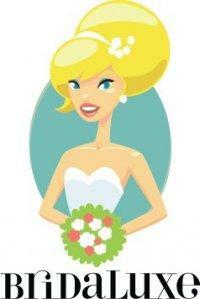 I am really happy with this Bridaluxe Wedding Affiliate Program. This is really a great list related to wedding. I took there service, I am really satisfactory. I also recommended it to my friend and his wedding also turned out great. Looks like a nice affiliate program. I would also like to mention my language learning affiliate program. I can use this information to know what my buyers most want. Thank you. I’d name your blog the dreamland! Whereas Santa knocks at our door just once per year, you blog is open the entire year – wow! Thank you. That is really good news for wedding website owner. Maybe that will have to be my latest niche blog! Best of luck in 2010. You could easily add wedding related affiliate links to your wedding gift site. Have you considered joining our Wedding Affiliate Program or Gift Affiliate Program? I approve comments in that blog too and invite you to comment there as well. It is also dofollow with CommentLuv and KeywordLuv installed. Thanks for sharing this… It is weird that I have never really thought about doing any sort of affiliate marketing to do with weddings before. Interesting article. I would be interested in knowing more about architectural rendering. Anyone interested in architecture would be interested in knowing about Good Millwork’s free downloadable 3D CAD Architectural profiles. Just click the download link on any profile page to download approved CAD drawings for use in architectural drawings. As a PA Wedding photographer and a NJ Wedding photographer, I find the Bridaluxe to be a great starting service for any photographer looking to get up and running as quick as possible. We are testing ways to assist small businesses to monetize their sites to supplement their incomes. If you are interested in hearing about it please use my contact tab to reach me. Sorry to be out of the loop for so long……missed this article. Bridaluxe looks like a great opportunity for anyone who’s operating a wedding blog and is seeking to monetize their domain without a lot of effort. I’m just glad you’re back! I just replied to a comment you left in a newer post before I saw this one. I answer comments as I can which is getting more challenging as the number of comments here and in our other blogs increases. One blog you may want to visit is Gift Blog. We write about wedding related topics there including Groomsmen Gifts. That blog is also dofollow and uses CommentLuv and KeywordLuv and has posts about our Wedding Affiliate Program and a Bridaluxe Wedding Store. I’m working on a new way to syndicate guest blog posts that might interest you. I’m sure my readers here would be interested in expertise you can share and a post about choosing a wedding DJ would fit at ExecGifts. Really nice programs in your post! It’s one of the very good networks for any wedding site. Interesting. I had not heard of Bradaluxe before. I’ll definitely have to consider it in the future, although I imagine it is predominately an American site. .-= fiona@Wedding Photographer Edinburgh´s last blog ..Edinburgh Wedding Photography – Jane and Duncan =-. Thanks for taking the time to comment. I hope your friend does well. You may want to tell her about both this blog and our dofollow CommentLuv KeywordLuv optimized wedding related blog too. Artificial raises an interesting point, do you know what the cookie length is? Yes, Bridaluxe uses a 365 day cookie for all merchants. I didn’t know that such a program existed. This is going to be a great way to boost revenues through our website, and we cannot thank you enough for the information!! We use both Bridaluxe and the Executive Gift Shoppe ShareASale gift affiliate program on our wedding blog. You may want to do the same. I am glad to have found this blog. I was looking for more information about affiliate marketing, and I have a client who is in the wedding business, I will definitely be forwarding this article to her. That will link the phrase without the trademark symbol. Great timing. Weddings are a great niche the will be getting stronger. See the post in CommentLuv on the predicted Wedding Boom. Lot of great information . Thanks for sharing . I am going to check it out right now ! Welcome Dana. I just found and followed you at Twitter. There is much more here now and much more to come. You may wish to check out the posts in the Most Popular section (top right), skim the categories, or check out the Best of GrowMap post. This does sound interesting, however “Their stores are far superior to Amazon stores especially in this case” is a bold claim indeed. We use amazon and have had some very good results, however I suppose the benifit of amazon is in the name itself. Also the long cokkies (365 day) I would image is essential, from my own experiance my wife took over 2 years to plan! The Amazon stores I have seen are not anywhere nearly as effective as their own site. They don’t have sorting functionality. I just looked again and neither of these store offerings are as effective as they could be. If you look at the Construction tools store that Good Moldings offers you’ll see that you can’t sort by tool type or by price or by most popular or any of the other options a great ecommerce site offers. Thank you. Welcome and do come back. My main e-commerce site will have a wedding section. This sounds like an awesome add-on type thing. I gotta say, that particular algorithm sounds sweet! I wish I knew how to do something like that. Derek might know how to code something like that and I have suggested to Bridaluxe that they could collaborate with others to use their system in other niches. I could use stores for golf, horses and healthy living! Mine will have quite a few separate niches. Bridaluxe has a great support ,Sounds really wonderful ,I will go for this Bridaluxe niche Wedding Affiliate Program.thanks a lot. I have browsed this service and have recommended it to a friend. They were very happy with the service. I also agree that it converts better for affiliates due to their algorithm to sort out products that are hot in today’s market. Bridaluxe has a very good reputation for running a clean program among both affiliates and OPMs (Outsourced Program Managers – what the people who manage affiliate programs for merchants are called). That is important to both affiliates and merchants. This is definately going to help with my wedding website. Thanks! .-= Marc´s last blog ..Stuart Weitzman Oboe Bridal Shoes =-. Thank you Marc for adding your input. When you comment here be sure to take advantage of KeywordLuv to select anchor text for your comment. Doing that benefits your site by giving you a dofollow backlink from this blog. It seems to be very nice affiliate program. I will try this program. .-= chandan´s last blog ..The Super Bowl 2010 =-.